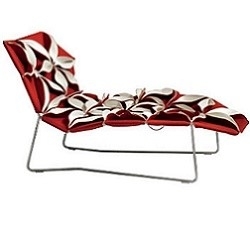 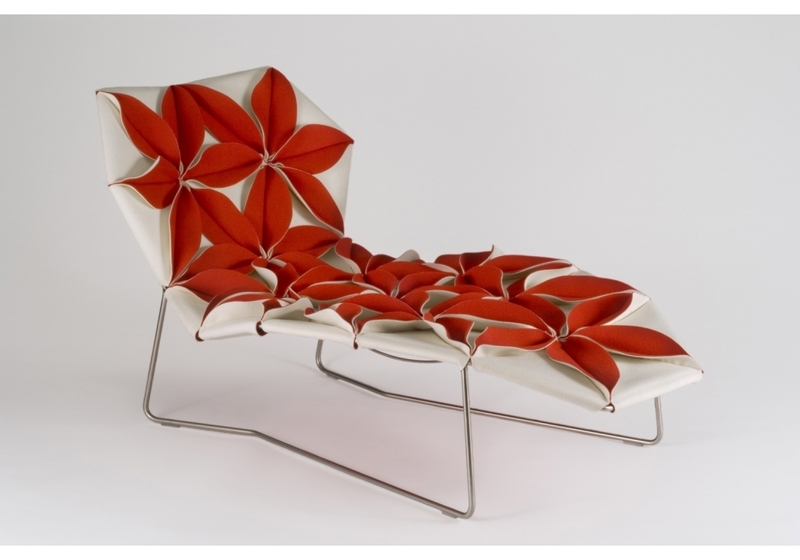 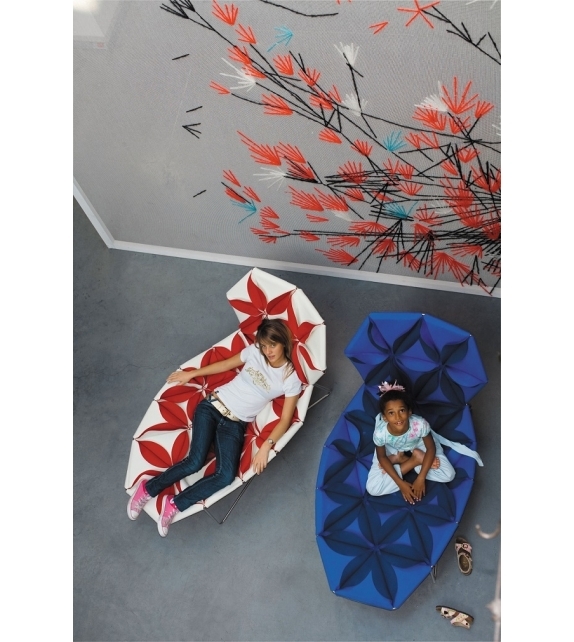 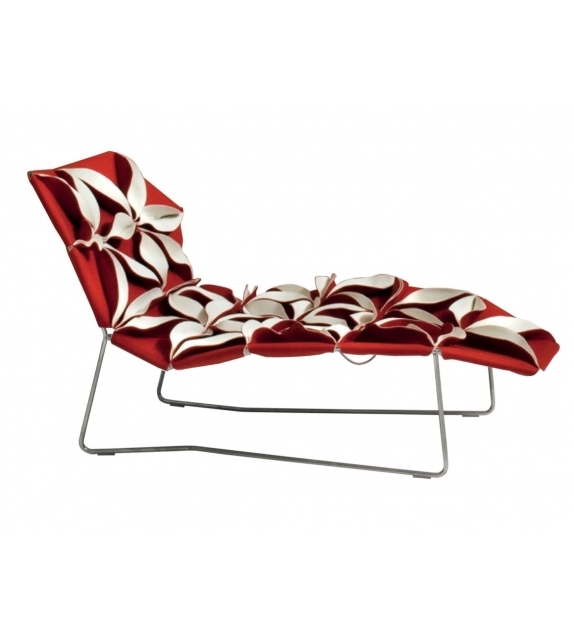 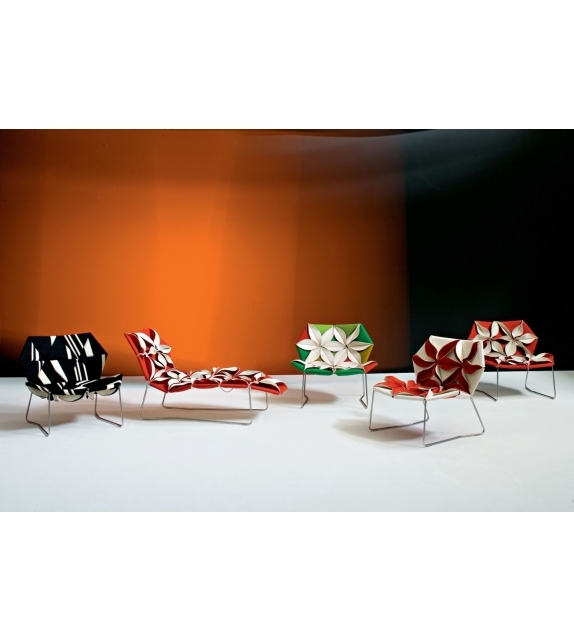 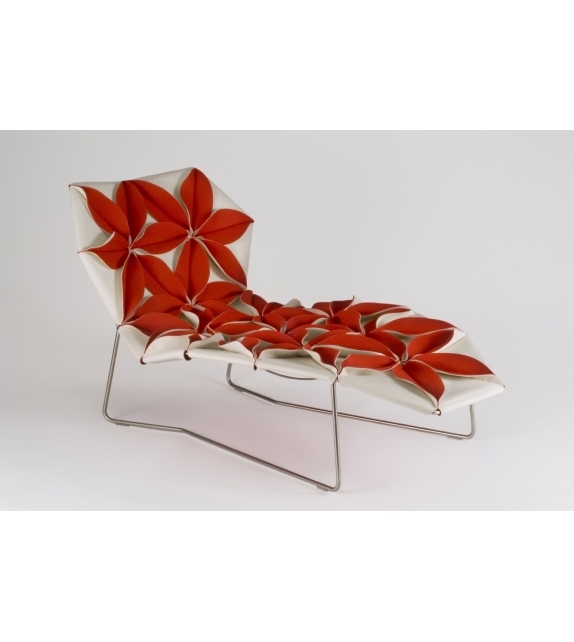 Antibodi is the chaise longue with flowers designed by Patricia Urquiola for Moroso. 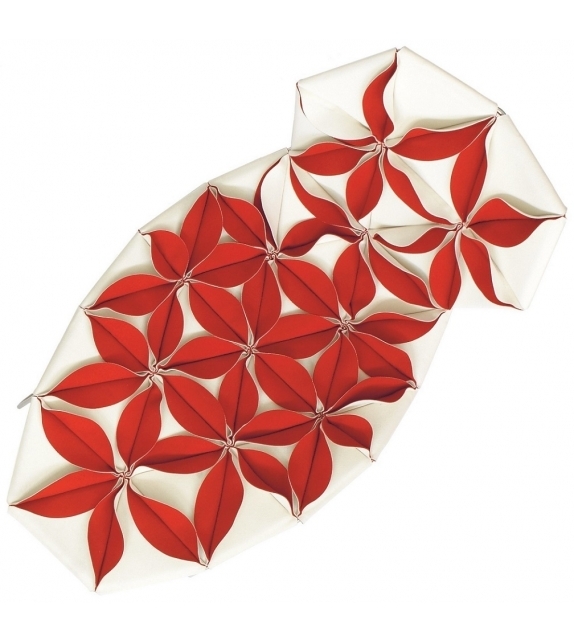 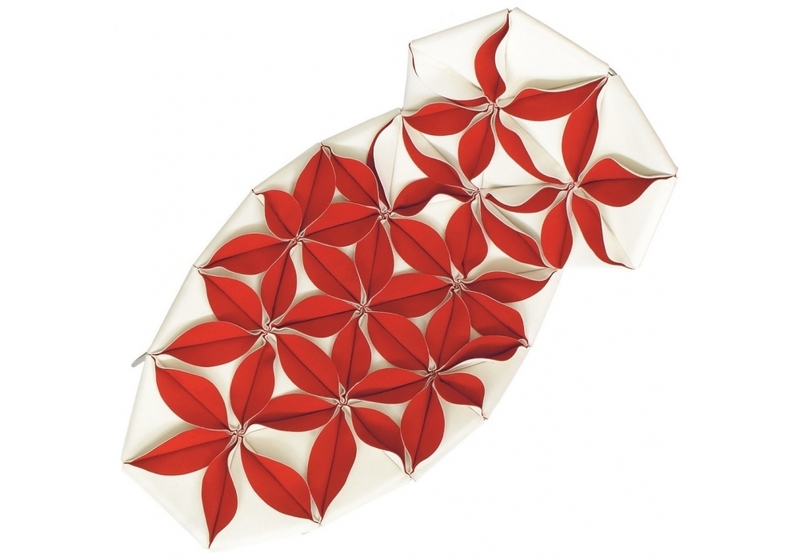 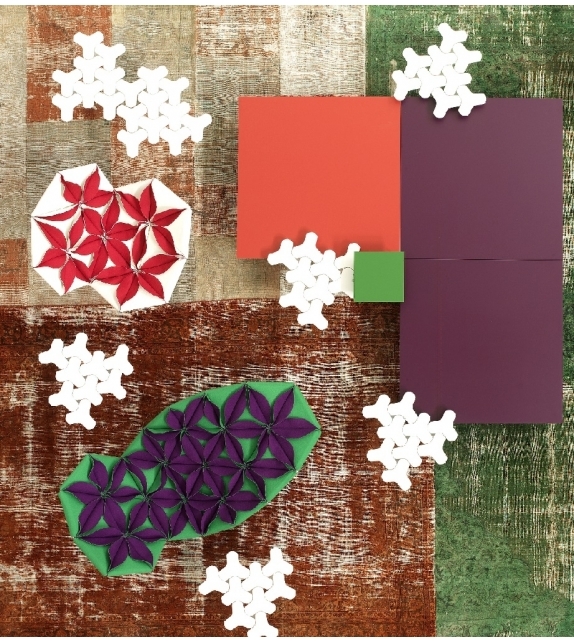 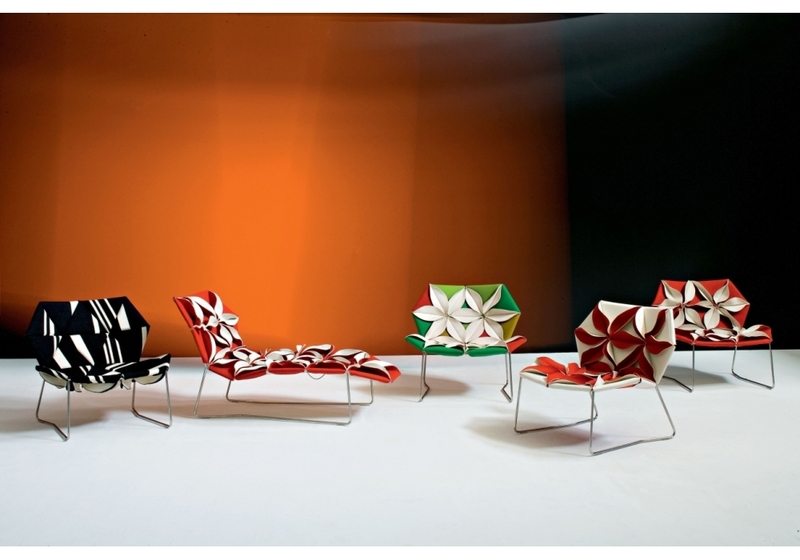 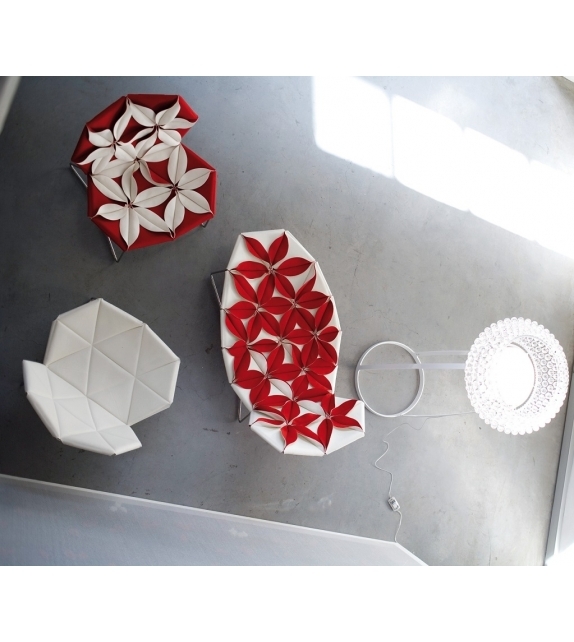 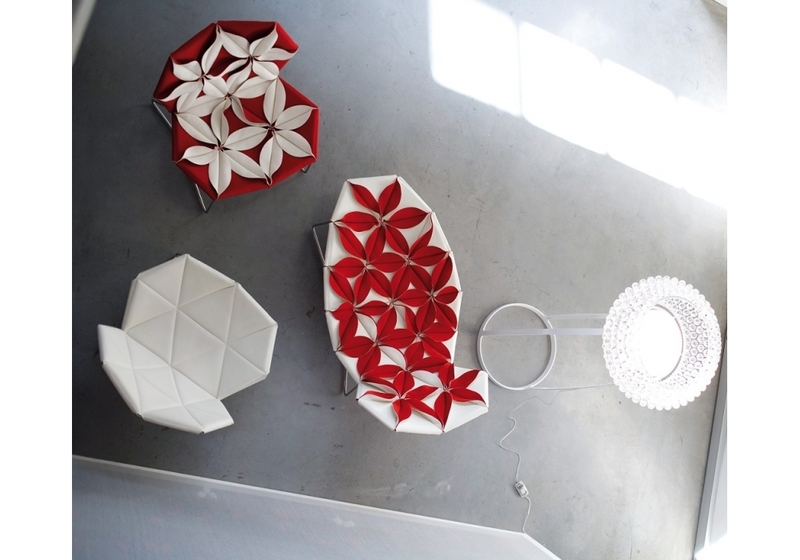 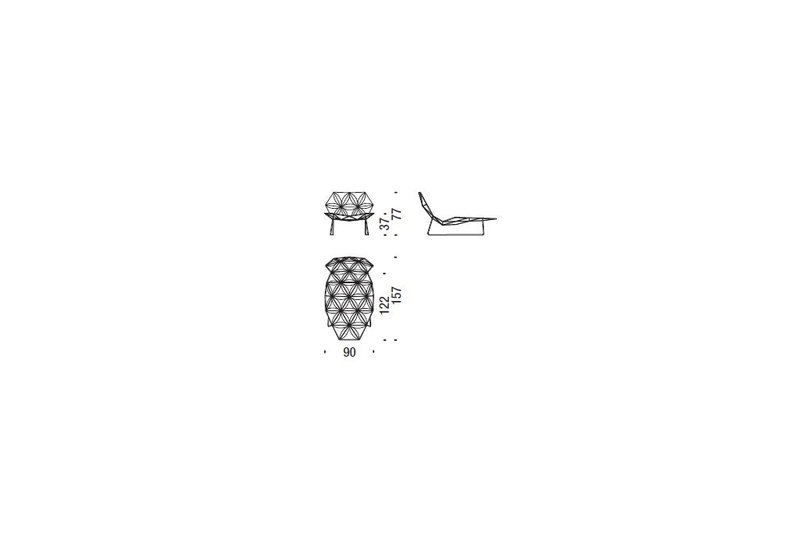 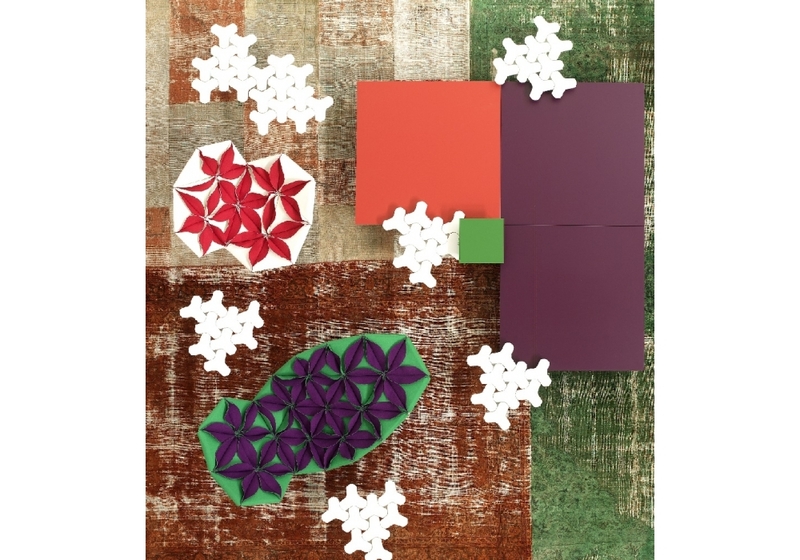 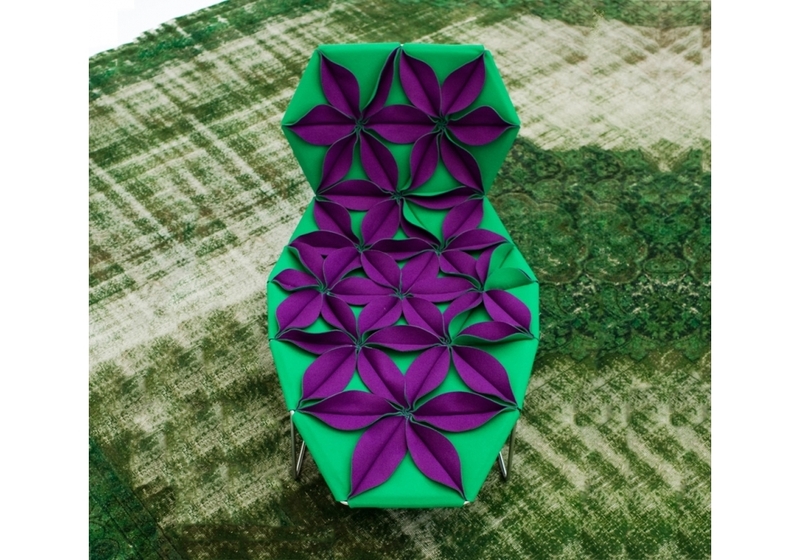 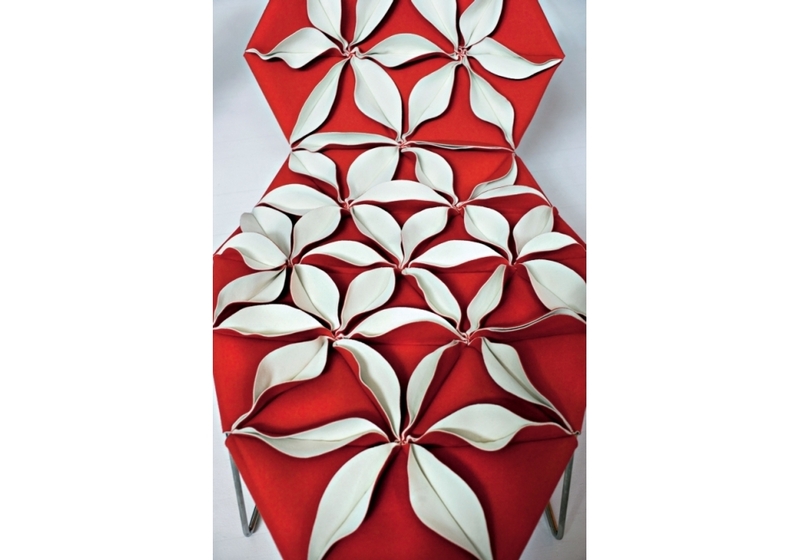 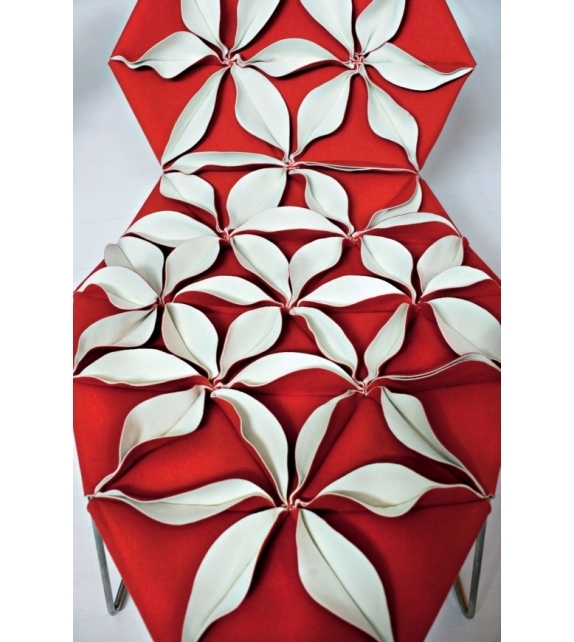 A new shape for a non-padded chair, three-dimensional geometry derived from the cellular genesis of sewn petals using the layout of a graphic structure with a triangular base. 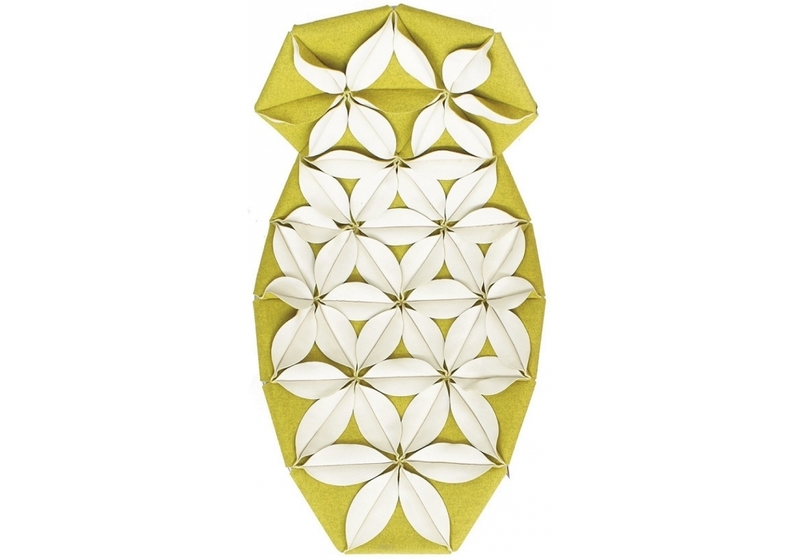 The result is a floral explosion, a marvellous symbolic display of fertility. 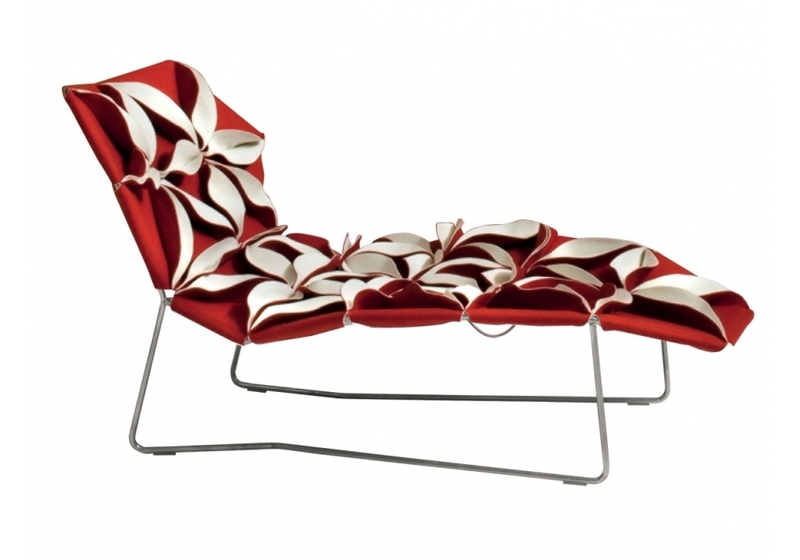 Antibodi is the chaise longue with flowers designed by Patricia Urquiola for Moroso. 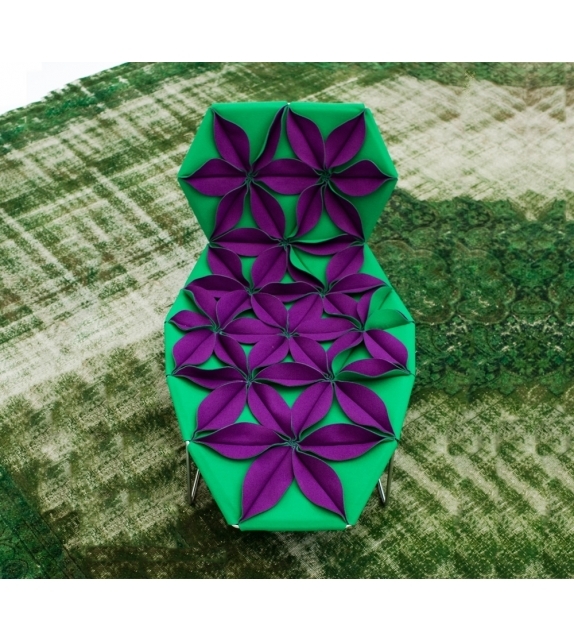 A new shape for a non-padded chair, three-dimensional geometry derived from the cellular genesis of sewn petals using the layout of a graphic structure with a triangular base. 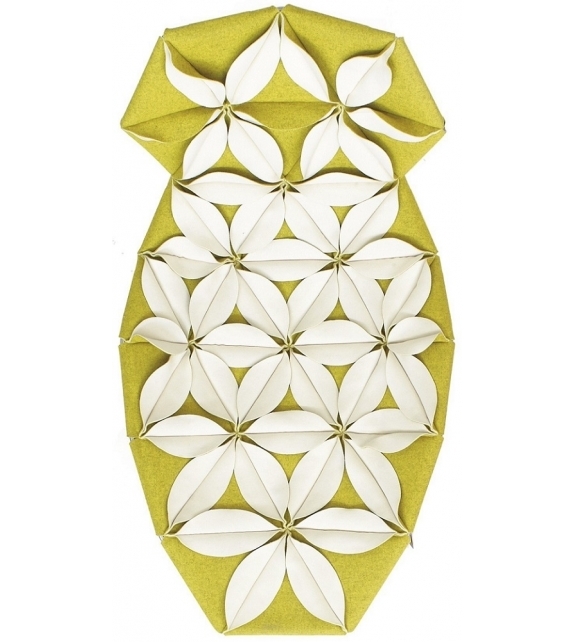 The result is a floral explosion, a marvellous symbolic display of fertility. 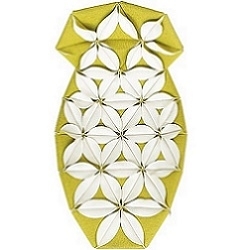 Antibodi is a life force, the epitome of wonderful yet contradictory charm. 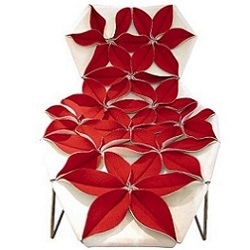 The petals, in double sided fabric- felt and baize or baize and leather- create a structural upholstery, which is fixed to the stainless steel frame. 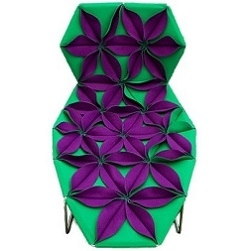 The upholstery has a dual personality, welcoming and feminine when the petals face upwards, intentionally severe and matelassé when the petals face down. 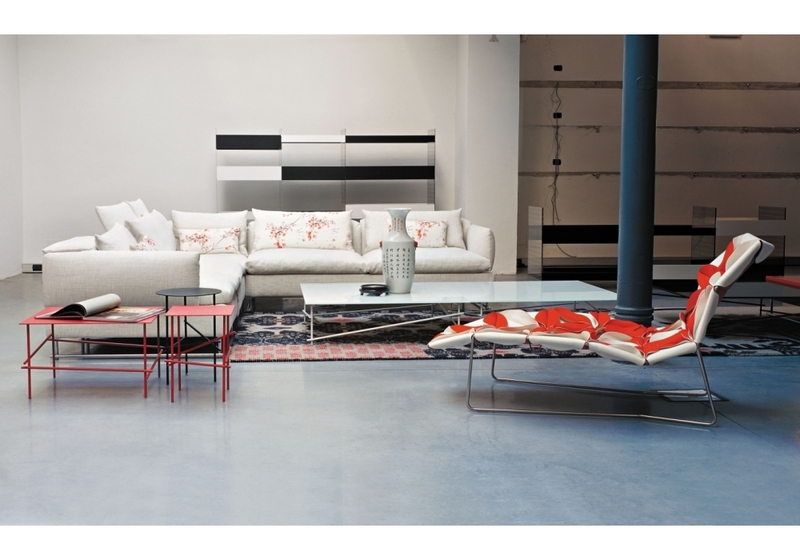 Base in stainless steel and glides in PVC. 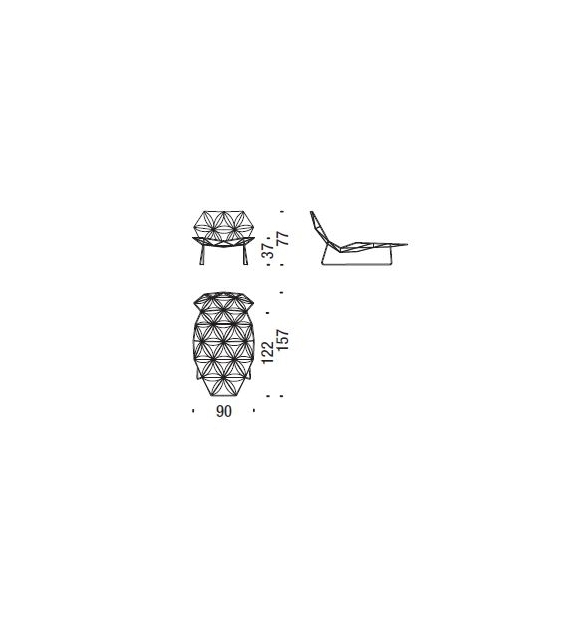 Structural cover in fabric or leather bonded with polyurethane foam and mesh.